What Does A Woodfired Oven Cost? The cheapest way to get a good quality Woodfired Oven is by buying a DIY Woodfired Oven Kit. 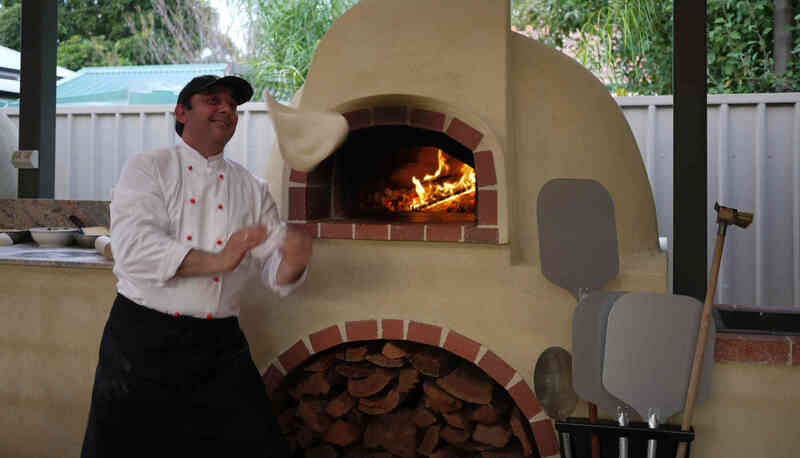 Amore Woodfired Ovens supply high quality Australian Made oven kits that allow any one with just a small DIY skilset to build an impressive woodfired oven. Can You Cook Other Foods than Pizza in a Woodfired Oven? Cookiung Pizzas in a woodfired oven is great fun but there is so much more that you can cook. Meats, poultry and Seafood are all delicious when cooked in a woodfired oven. Does Amore only cater from a woodfired oven? Amore Woodfired Ovens are known throughout Adelaide for their Woodfired Oven catering (it in our name) but we also have a portable traditional charcoal grill that allows us to offer so much more. What Material Are DIY Woodfired Ovens Made From? Amore DIY Woodfired Oven Kits include a precast concrete dome, in easy fit together pieces which are assembled over a fire brick floor and then covered in a render. This makes them much sturdier that cheap imported clay domes that often contain micro cracks from vibration and bumps when being transported. These micro cracks can be almost impossible to detact in the new oven but can dramatically shorten the lifespan of the oven. What Colours Are Woodfired Ovens Available In? Amore DIY Woodfired Ovens are finished with a render that you can paint any colour you want so your finished oven will be unique to you and perfectly matched to your outdoor entertainment area. Why Are Woodfired Ovens Dome Shaped? A dome is the perfect shape for a woodfired oven because it aloows the flames and heat to move around the oven evenly creating the perfect radiant heat for even cooking. Where Can I learn To Cook In A Woodfired Oven? 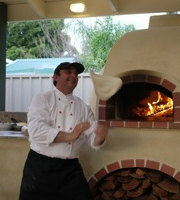 Amore Woodfired Ovens can run cooking classes at your home. These are great fun events to invite your friends to and watch them learn to toss pizza dough and they will ensure you get the most from your oven.